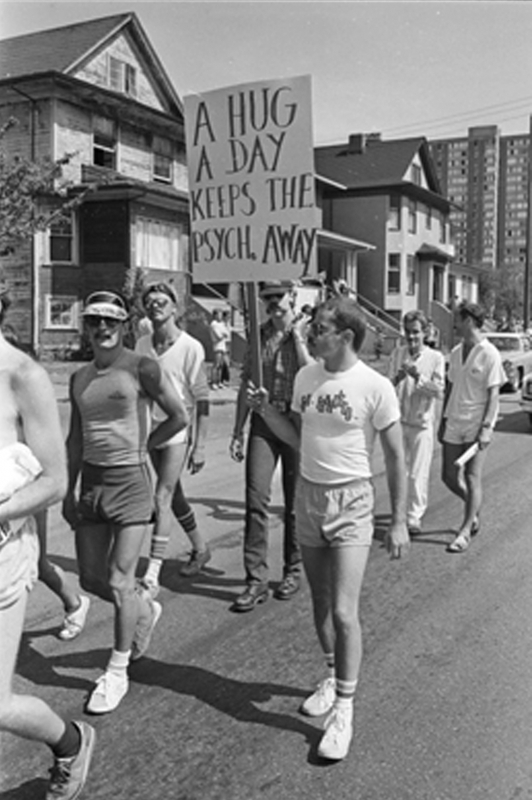 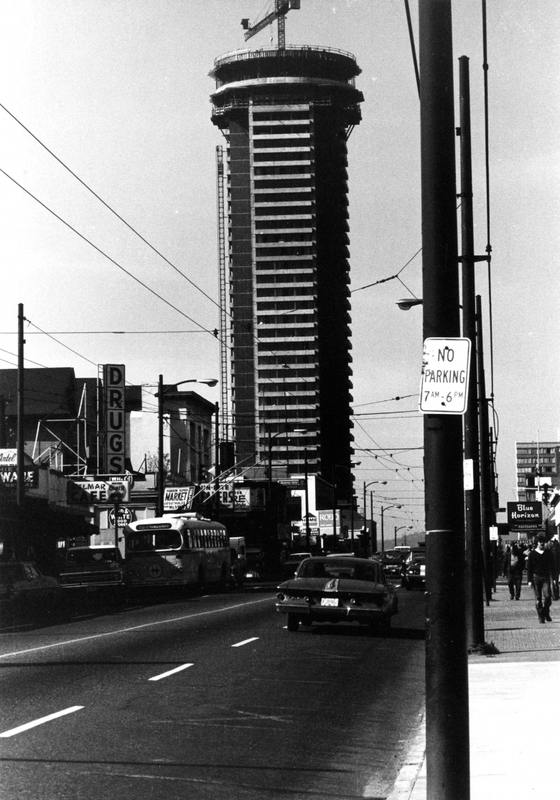 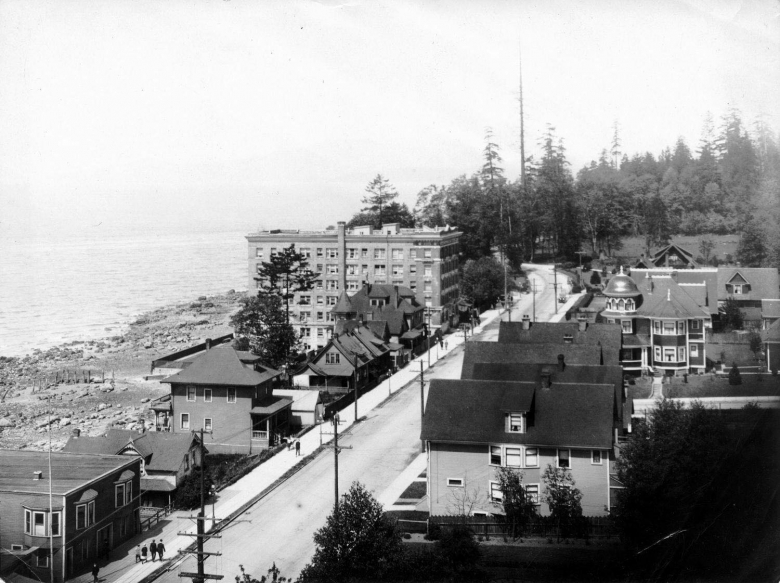 As we gear up to celebrate Canada’s 150th birthday, here’s a look at some photos that celebrate the West End’s own diverse history and showcase how our neighbourhood has evolved over the decades. 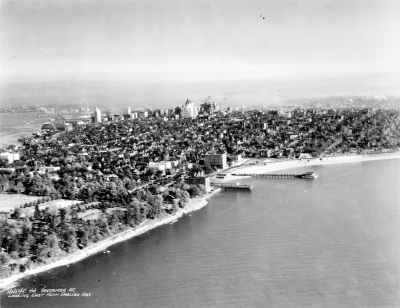 Curated by Community Journalist, Janet Leduc, read on for her top picks! 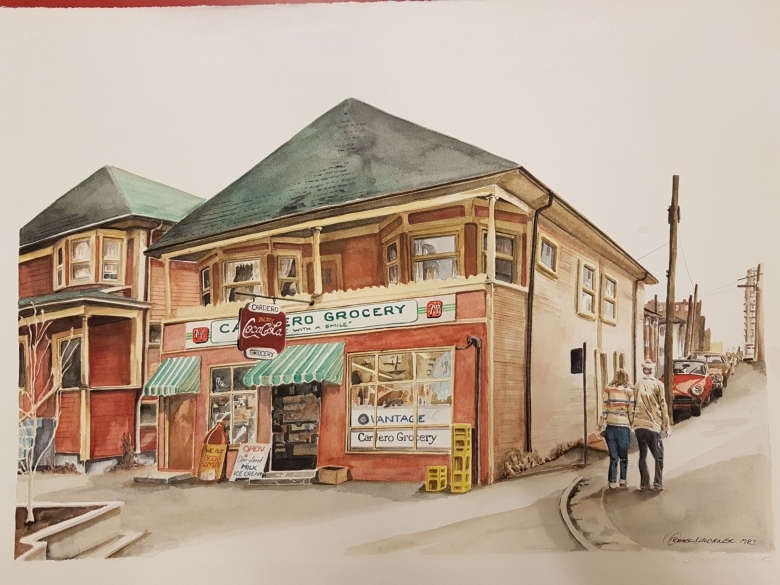 The Cardero Grocery store, illustrated in artist Michael Kluckner’s 1983 painting, was one of the first buildings on Cardero Street and one of four grocery stores west of Burrard. 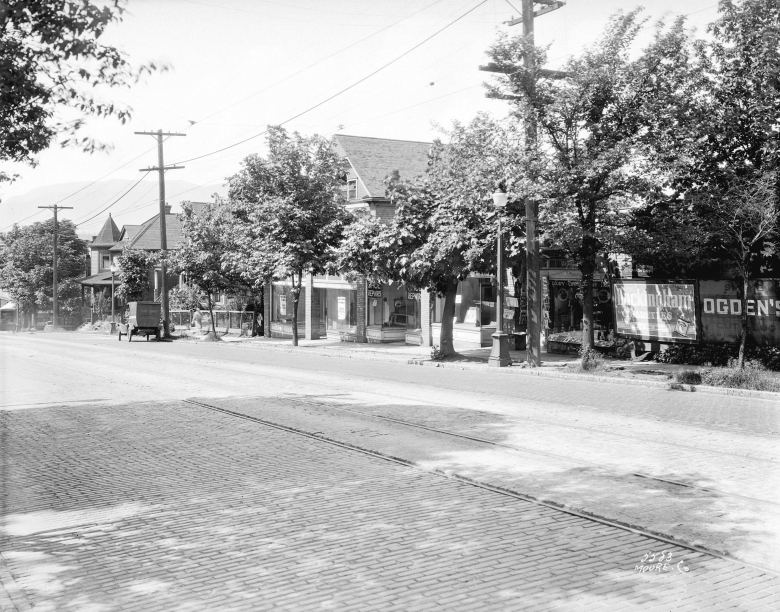 Mrs Kate Fleming operated her store from 1901 until 1935; both her house and store at 1076-78 Cardero Street are on the City of Vancouver’s heritage register and the store still operates as Cardero Grocery.